Show Your Mouth a Little Love This Valentine's Day! It may be the most romantic time of the year, but we are reminding people searching for the perfect gift not to neglect your oral hygiene. Show your loved one how much you care by keeping your pucker perfect. This includes your tongue. Those little bumps on your tongue trap plaque, and bacteria that cause halitosis. Brushing both your teeth and tongue will, therefore, help to keep your breath fresh. Rinsing after brushing washes away the fluoride that you want to apply to the teeth. Simply spit out the paste and be done with it. This is particularly important for those who use a prescription strength toothpaste. If you are at a higher risk for decay, avoiding rinsing is critical. If you take evening medications be sure to take them prior to brushing. Running to the restroom at the end of your dinner date may not be the most romantic move. Don't fret, Xylitol containing gum will do in a jiffy. Xylitol helps to fight decay and will freshen your breath to boot! Seriously! Current research indicates the bacteria that causes tooth decay can be spread from one individual to another. This can be done via sharing straws, forks and yes, even kissing. Protect your partner by keeping your mouth clean and cavity free. This Valentine's Day you will be showering your spouse and children with love. Be sure to Show Your Mouth a Little Love This Valentine's Day too! 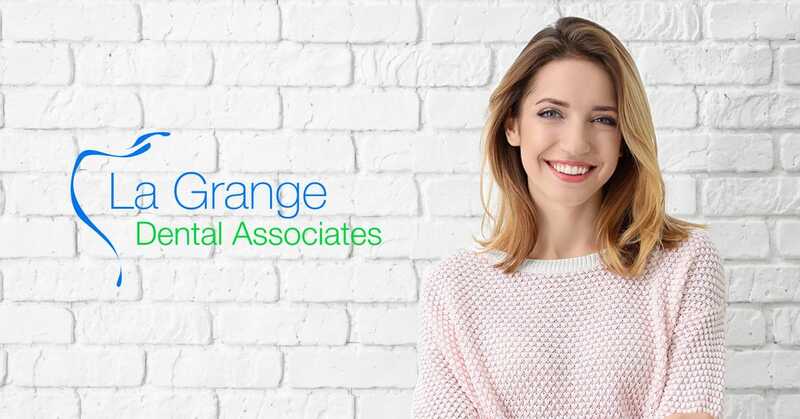 Visit La Grange Dental Associates frequently for more fun and educational blog posts. Happy Valentine's Day!